I have only been druming for about 9 months now and I am getting better the only thing that is holding me down is creativity like if i get a drum beat I have a hard time thinking of a unique fill that goes with the beat. I try to watch alot of videos on youtube but not seem to help. Can you please help me out and tell me how i can improve my skill? 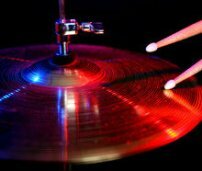 Please check out our Absolutely Free Drum Lessons page on Rock Drum Fills. There are a lot of ideas about how to create your own fills. You might also want to visit our Almost Free Drum Tabs, where you can find guaranteed accurate drum sheet music tabs for your favorite songs or order any tabs that you want. Many times you can get really good ideas from learning the fills that other drummers use and then making them your own.